The game between Duncanville and Arlington Lamar took nearly four hours Friday night in Mansfield. This was the third game that weather had threatened, by either delaying, calling the game, or postponement. However, Duncanville defeated Arlington Lamar quite handily, on their way to their second post district victory. Arlington did manage to have just over 200 yards in total offense. But the Panthers’ defensive line was too strong and their defensive back too quick to allow anything beyond two field goals. QB Ja’ Quinden Jackson scored first for the Panthers on a 13-yard run. Victor Escalona was good for the PAT. Duncanville led the first quarter 7-6 Jackson would go on to have 15 carries for an impressive 138 game yards. Junior back Trysten Smith had the only score in the second quarter with a 5-yard plunge off tackle. PAT by Escalona was good. Smith had 24 game carries for 71-yards. Duncanville led 14-7 at the break. 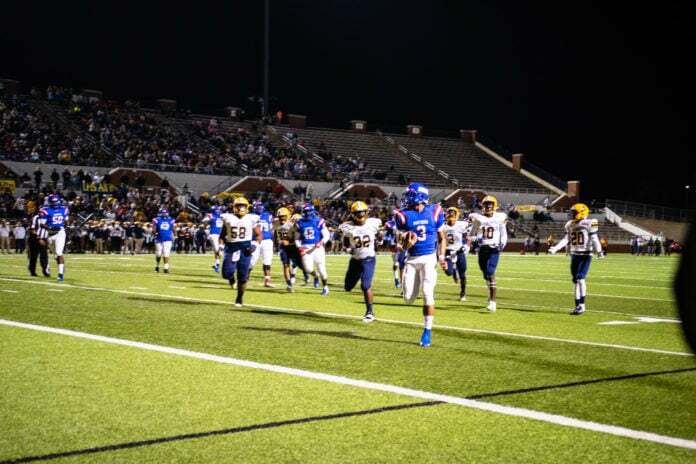 Duncanville had a total of 178 yards on the ground for the game. Then the weather broke a little, and the dam broke for Duncanville a whole lot in the third quarter. Jackson hit Zeriah Beason for a 63-yard pass. This set up a 1-yard dive by Trysten Smith for the score. Jackson threw another touchdown strike to Roderick Daniels Jr. for 70-yards. Then Jackson scored again on a 5-yard gain. Escalona made all three PATs. The quarter ended with Duncanville winning 35-6. 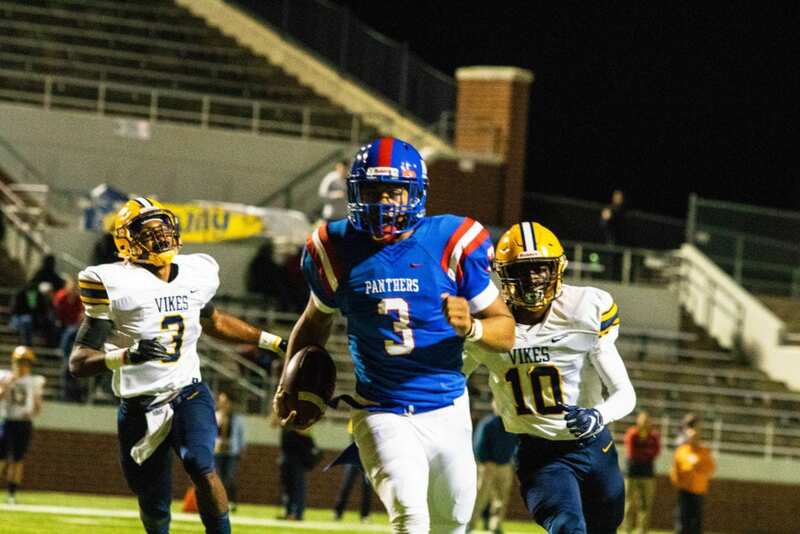 Jackson was 7-13-0 for 160 yards in the air.Duncanville had a massive 486 total offensive game yards. The fourth quarter had a lengthy delay. There was a mildly heated discussion on whether to continue or call the game. Duncanville coaches prevailed with the officials and the game continued. Field goal kicker Victor Escalona kicked a 23-yrd field goal and Junior Demarcus Jackson ran 4-yard strike for the final score of the fourth quarter. Duncanville prevailed 45-6.